A simple link bracelet made from classic 9ct yellow gold. Slender oval links alternate with trios of smaller round links for a simply stylish look. 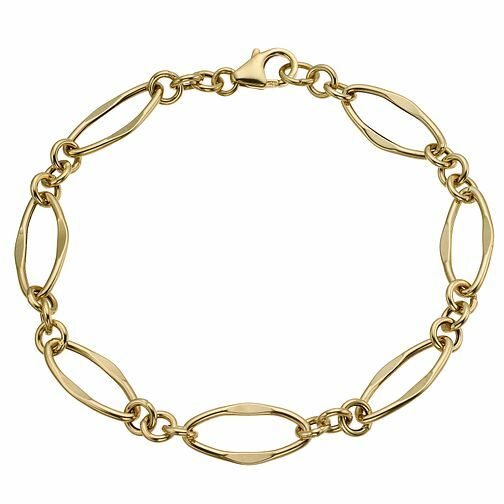 9ct yellow gold open oval link bracelet is rated 2.0 out of 5 by 1.